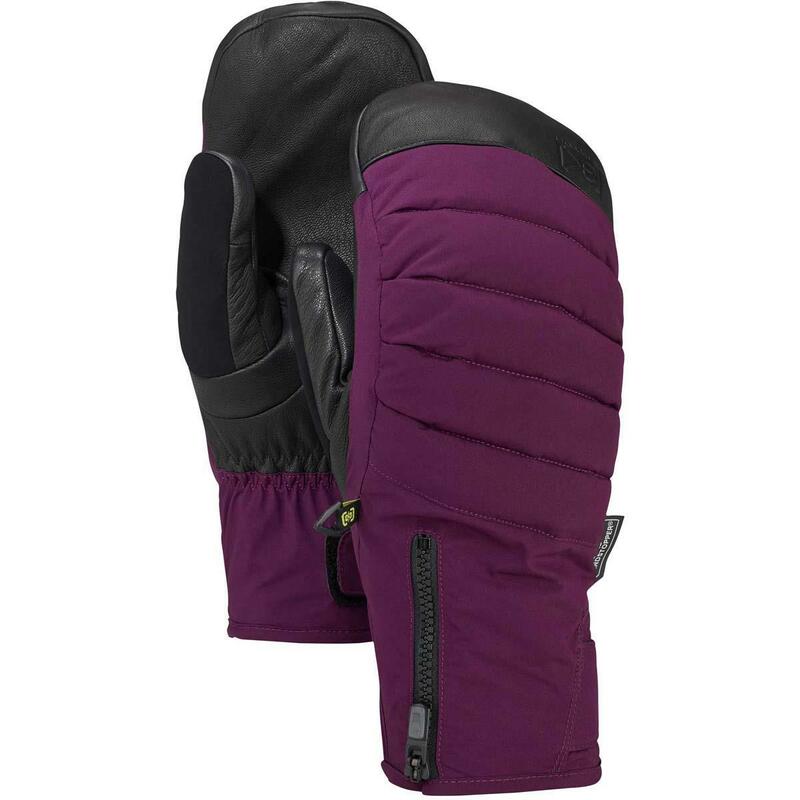 From Burton: By combining the collective heating powers of Triple Goose Down, a whopping 15 ounces of PrimaLoft Gold Insulation, and a Hydrofil wicking fleece liner, the Burton [ak] Oven Mitt is basically the warmest snowboard mitt on the planet. It fights moisture on both fronts thanks to ultra-breathable WINDSTOPPER fabric from Gore. And so riders like Terje Haakonsen don’t feel like they’re wearing boxing gloves, a super ergonomic fit ensures total dexterity when strapping in or shoveling. Under mitt styling means a low-profile cuff that easily slides underneath your jacket’s sleeves. If you are one who is always cold or spends a lot of time in the backcountry far from shelter, then the [ak] Oven Mitt isn’t nice to have, it’s a necessity.